You don’t have to exercise in pain. 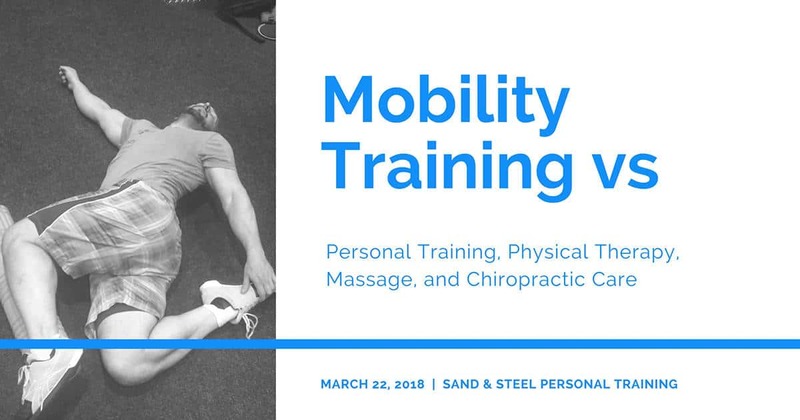 Learn how Sand & Steel’s Mobility and Flexibility Programming can help you move better. 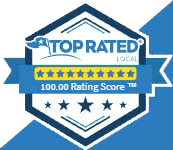 Looking to improvement performance? Want to learn which exercises can help you movement better? Don’t treat the pain, find the source with FMS and YBT. Functional Movement Screen and Y Balance Tests are our state-of-art Movement Screening Systems. They are like a X-Ray into all your muscle weaknesses. If there is in imbalance – we’ll find it and show you how to fix it. Hip Strength and Mobility. 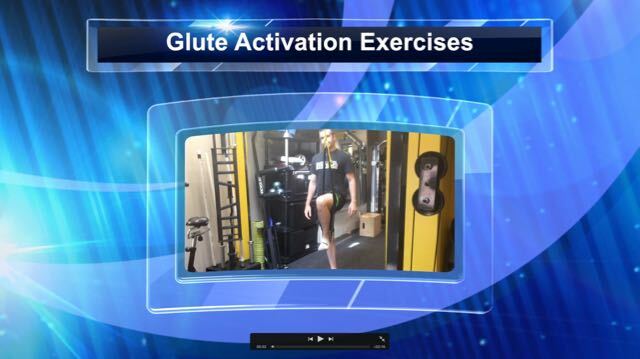 Dawn and Paul Present 2 powerful Corrective Exercises for strengthening the hips and groin. These make excellent warmups for beginner and intermediate clients. Reading Time: 6 minutes Mobility = POWER! 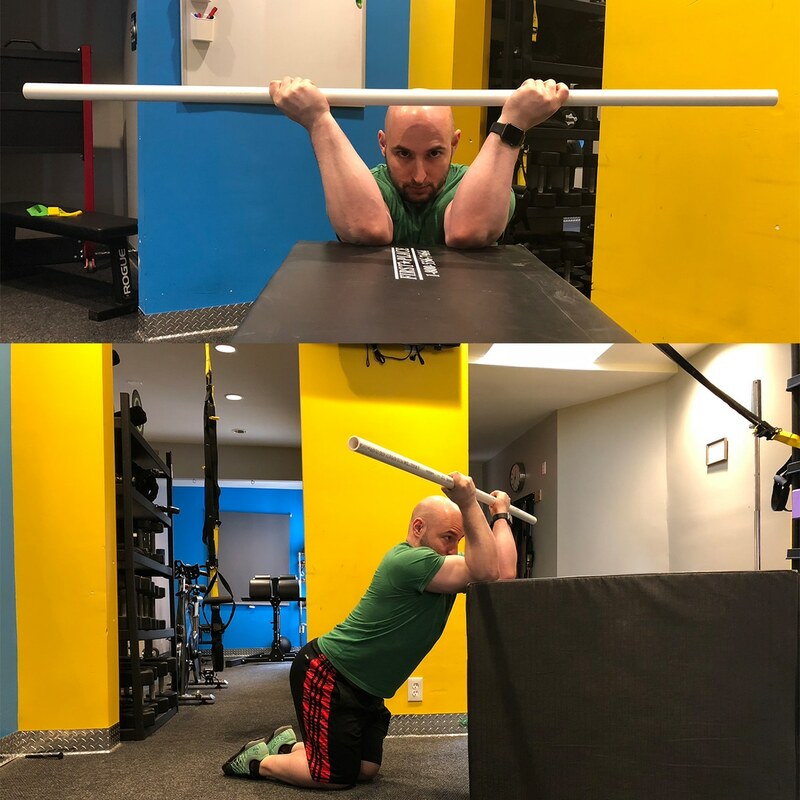 If your body isn’t capable of getting in the right angles and positions, it will obstruct the natural trajectory of the barbell, which is STRAIGHT UP! In this article we will go through a set of stretching exercises that will improve your weightlifting. 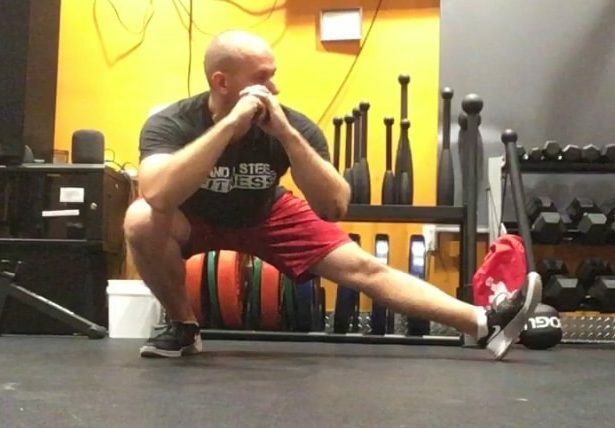 This set of stretching excercises is a “Swiss Army Knife” that every lifter should always have with them. Read moreCore and Lower Back. 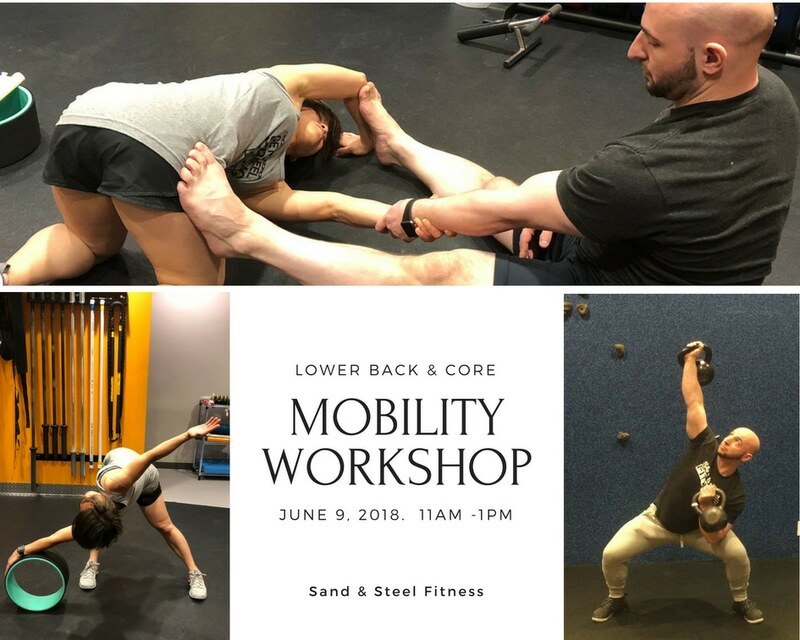 Strength & Mobility Workshop. Whether you have a shoulder injury like an impingement or need stability exercises for your rotator cuff, the key to helping you get better is strengthening the weakened muscle and mobilizing the relevant fascia. Here are 10 amazing Shoulder Rotator Cuff Exercises and Stretches that you can do with your personal trainer. 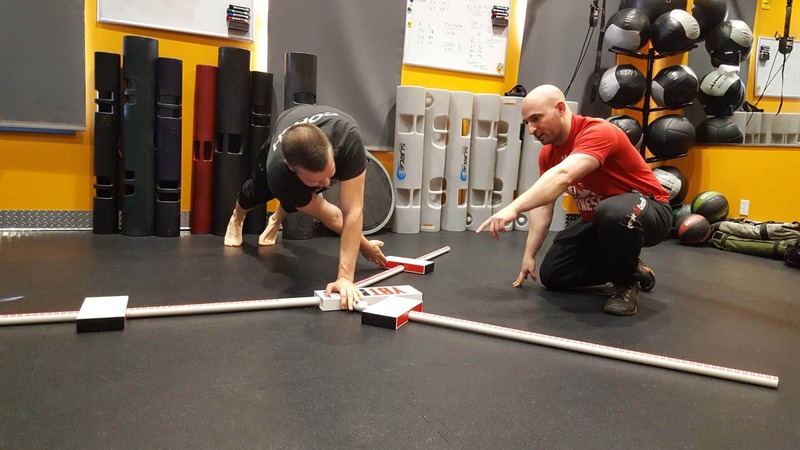 The MWOD Certification Review by Paul on Movement & Mobility 101. 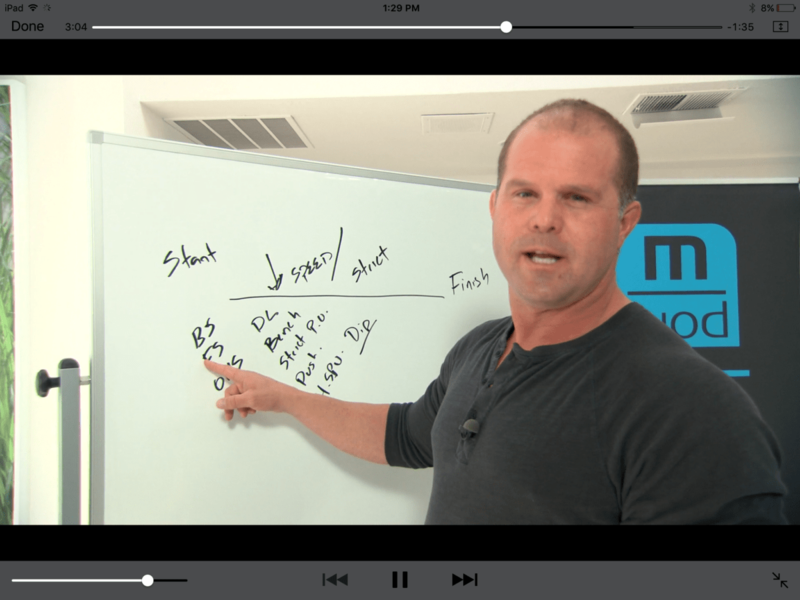 Kelly Starrett’s Movement & Mobility certification is my fifth certification in mobility. Here’s my review of the certification, plus a list of new things I learned from the man himself, Kelly Starrett. If you are a mobility and movement coach, the MWOD Movement and Mobility Certification is a must have. Yes, it will take some work to finish, but it will help you become a better personal trainer. You will be able to take care of your athletes better and keep them moving safely for years to come. 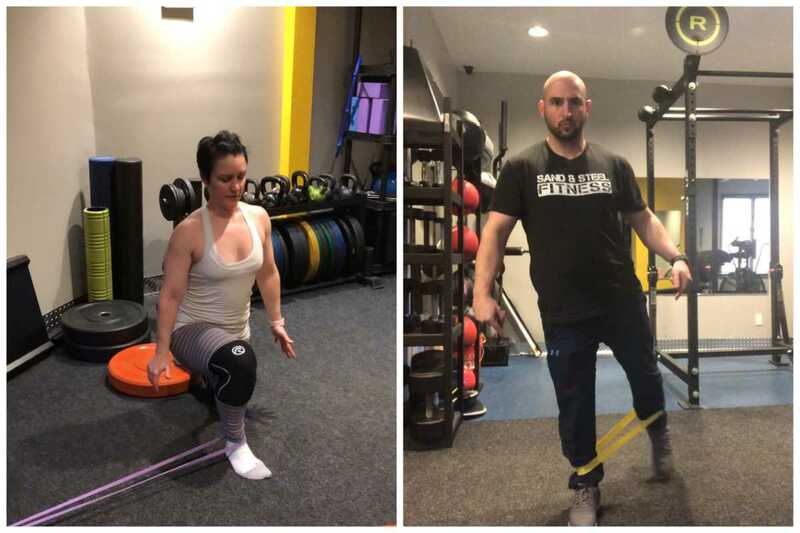 Heard about Mobility Training? Not really sure what it is, or whether it’s helpful for you? Maybe you are considering seeing a physical therapist or a personal trainer? This article compares Mobility Training to a number of different body mechanics specialties. I am assuming you are already convinced on the importance of exercise. 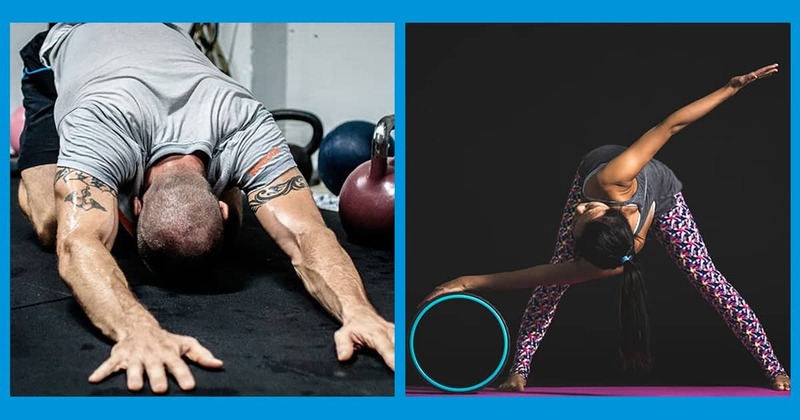 And if you scroll down a bit, I will break down the differences between mobility, flexibility, yoga, and stretching in careful detail. Without sufficient mobility you cannot be all that you wish to be. 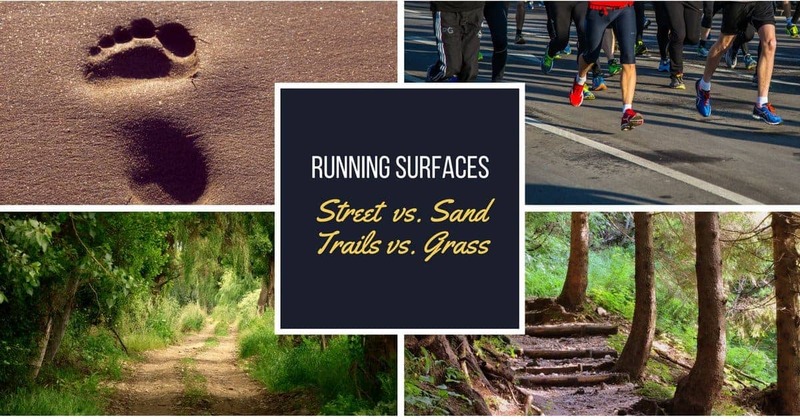 This applies whether your chosen craft is golf, strength training, CrossFit, or endurance running. You are not as efficient as a runner, you are more likely to get injured as a golfer, you are slower in CrossFit than you ought to be, and as a power lifter your recovery times are slower. 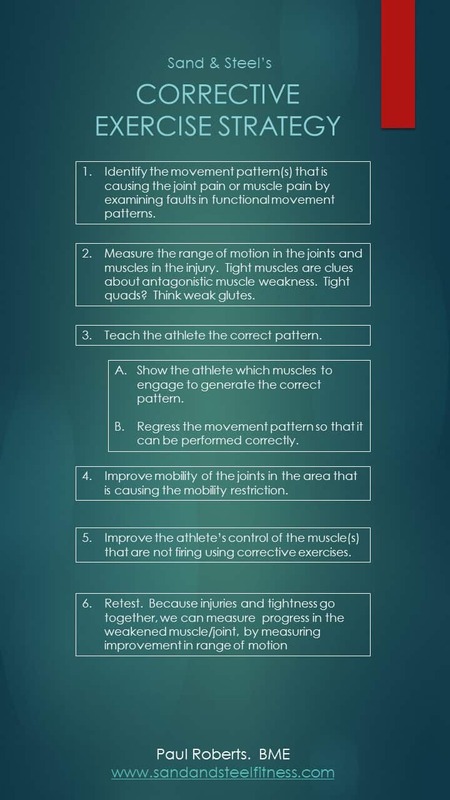 Mobility is critical for all sports and physical activities. Period. Mobility helps improve range of motion of tight joints and muscles, and it helps stabilize and strength areas that have too much range. 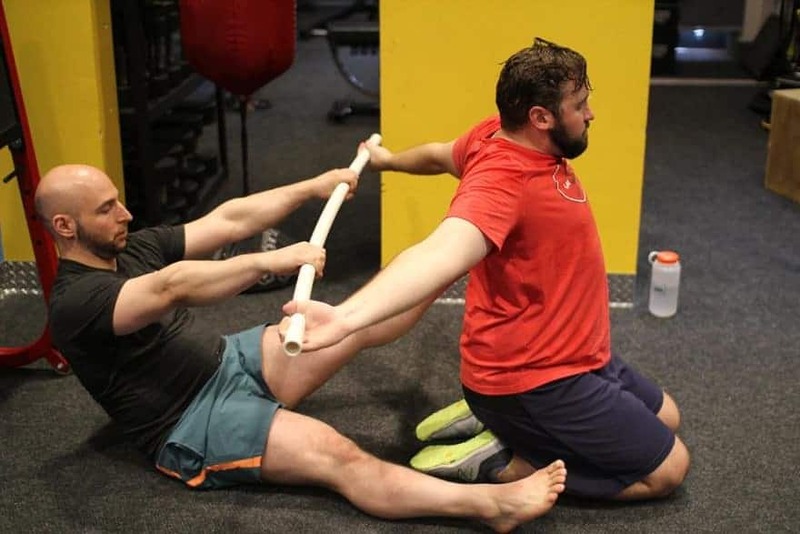 This article demonstrates provides two example exercise routines for people needing additional range of motion in the hips, ankles, and thorasic spine. Plus you’ll find numerous linked articles at the bottom covering all topics associated with stretching, stabilization, yoga, and mobility. 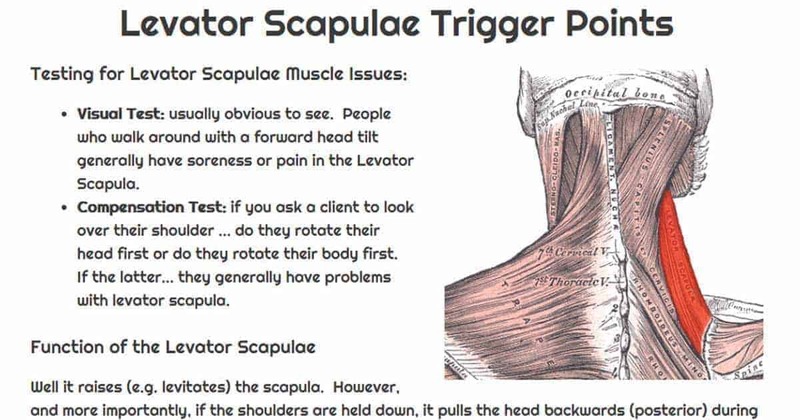 Reading Time: 4 minutes Levator Scapulae. A small muscle that causes big neck and shoulder pain. 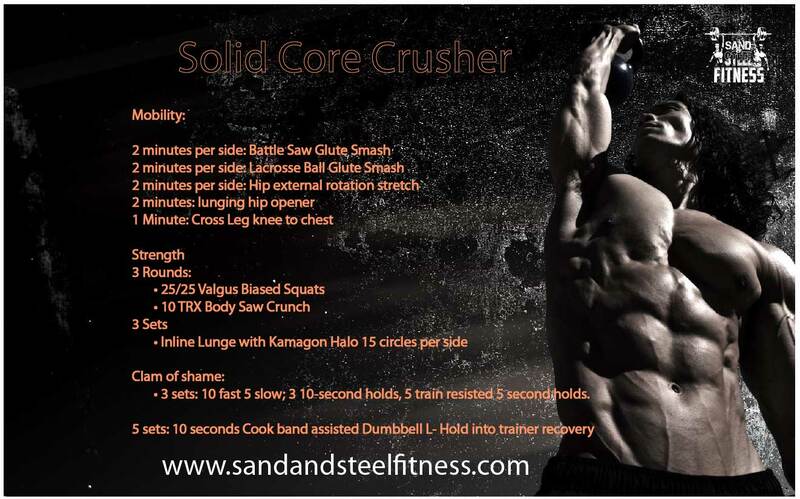 Learn how to test function, treat the pain, and build strength and flexibility. Reading Time: 3 minutes Scalenes? 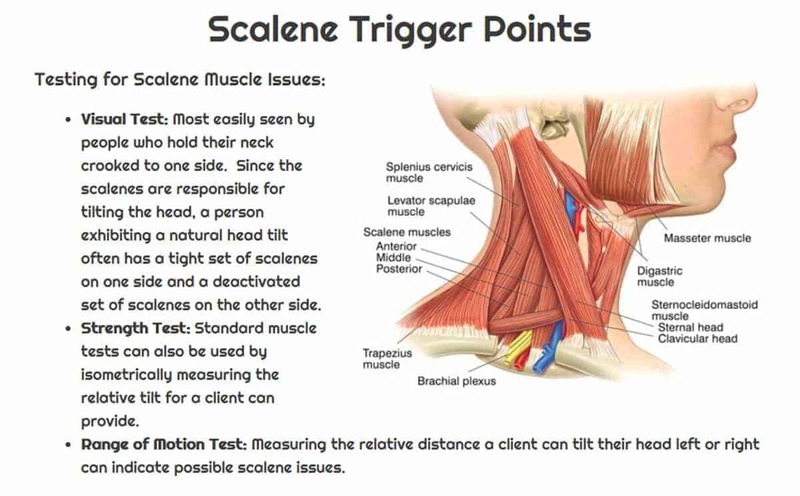 If you have pain caused by a crook in your neck, help may arrive from mobilizing your Scalenes. Learn how to test, stretch, and strengthen them. 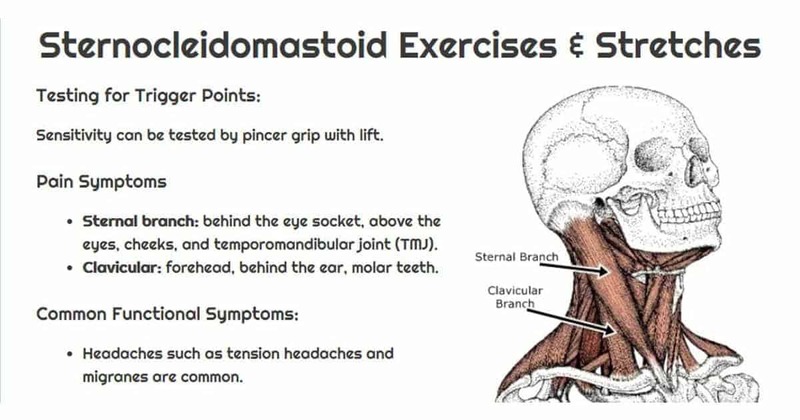 Reading Time: 1 minute The Sternocleidomastoid SCM is a complex motion and “heavy-lifter” when it comes to moving around your head. Dysfunction leads to migranes, TMJ, and tensions headaches. Here’s how to diagnose, strengthen, and mobilize the SCM. Reading Time: 7 minutes Solving Shoulder Pain: A Corrective Exercise Strategy. 6 Key Steps you can follow to track down and correct shoulder pain. Reading Time: 6 minutes Zero2Fit: Foundational Fitness. Want to get in shape safely? We break down the proper mechanics for the squat, deadlift, pushup. Also featured is a video on how write conditioning workouts and the 4 keys areas for mobility training.